Why most people think youre 'abnormal' when you quit? What are your risks in quitting drinking? Can you die from quitting alcohol? Should you really expect bad side-effects and symptoms? Will you remain in recovery for the rest of your life? How can you rapidly accelerate your recovery? ...and much more!Scroll to the top of this page and click 'Buy Now' to start your journey.Onwards and Upwards! 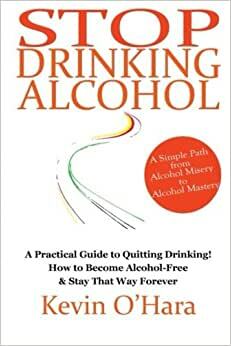 I found this to be a very straight forward book that presents a clear plan to end drinking. I think different people probably resonate with different approaches but this one is very encouraging to me. The author reminds me that it's my decision... and I can make the choice like I make all the other choices that come up in the course of a day. Drinking is a habit and habits can be changed. Here's to a healthier and more productive life. Thanks. 4.0 颗星，最多 5 颗星Great Voice. Needs Better Editing. Kevin O'Hara's voice is the first that has spoken to me. His common-sense, down-to-earth approach works. His videos at alcoholmastery.com are fabulously helpful, insightful, practical, and encouraging. I bought the book to support him. Its strength is found in what Kevin has to say and how he says it, and no one does that better. It's weakness is an unfortunate lack of good editing, resulting in a plethora of typos and some usage errors. This is an honest and easily approached book. Just what you need if you are considering stopping drinking alcohol. Furthermore it provides a seldom seen balance between the personal choice and the cultural impact regarding alcohol. Thank you .Grate book to start from and learn as you go on to alchol freedom.